Yes I so agree totally with your words of inspiration, Didi. Apt and lovely picture too. 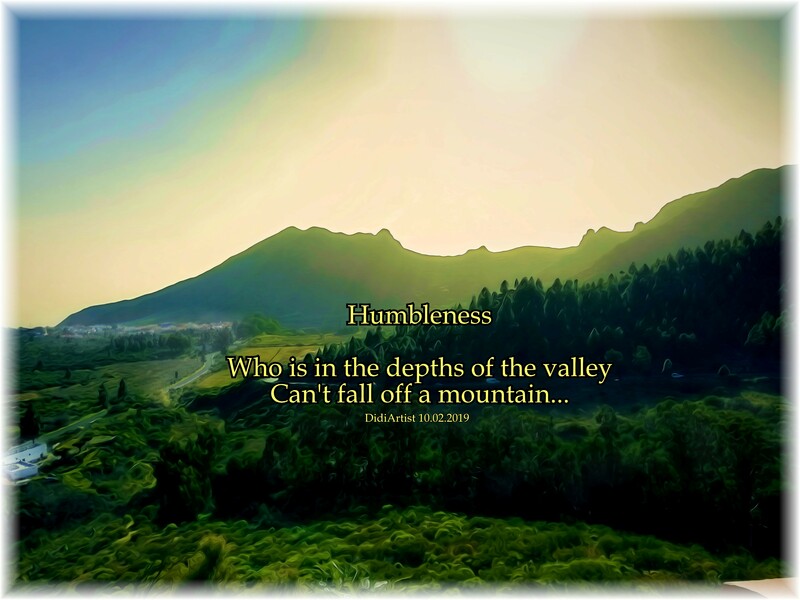 How would our world be, if we all would be a bit more humble…? It would be a better place for us to live, humbly and kindly. Welcome dear. Love and light to you too, Didi. Also for you a great week ahead with warm hugs, my friend.